Sir Alec Guinness arrived in Tunisia to begin shooting his scenes as Obi-Wan Kenobi in Star Wars: A New Hope. The scenes shot in Tunisia include the famous first meeting between Ben Kenobi and Luke Skywalker, following the Tusken Raider attack. Little did the legendary actor know that his character, Obi-Wan, would become as iconic as the film itself. Still to this day people laud Sir Guinness's' performance as the elderly Jedi Master, who served as mentor to the young Luke Skywalker. 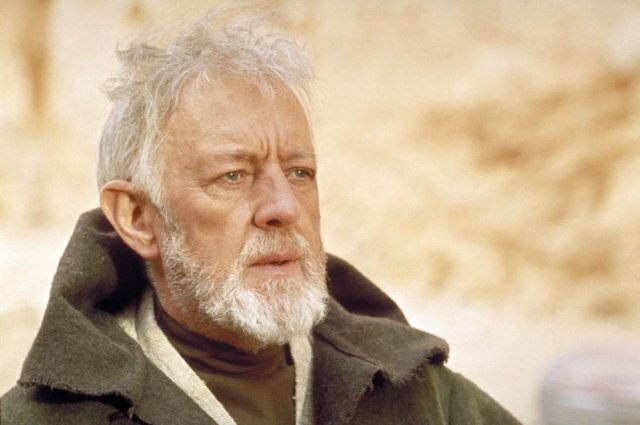 Sir Alec Guinness would reprise his role as Obi Wan in The Empire Strikes Back and Return of the Jedi.